Do you blog? Is your blog a hobby or a means of income? Either way, you probably know how hard it can be to stay on top of each of your commitments. From guest posts, to reviews, to taxes, there is a lot that you need to keep up with each year. Tracking everything can be time consuming and very stressful. I have a solution to your blogging organization issues. 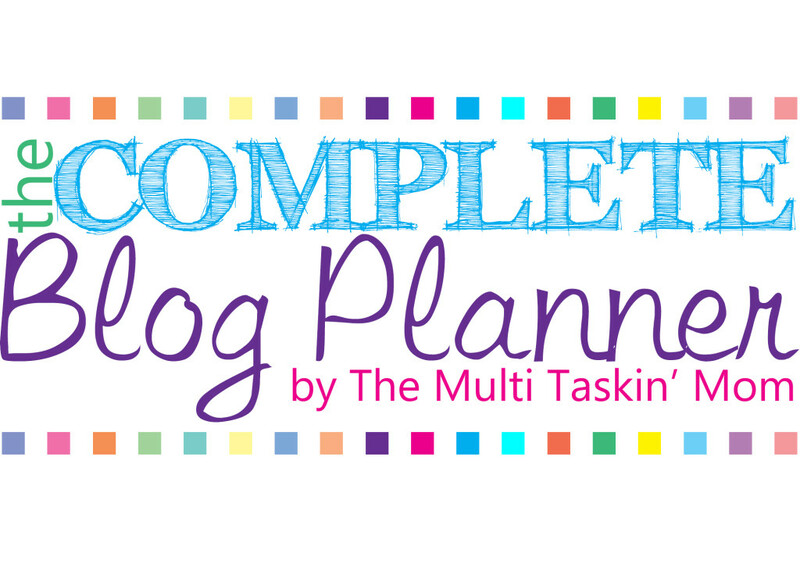 Introducing: The Complete Blog Planner, by The Multi Taskin’ Mom. 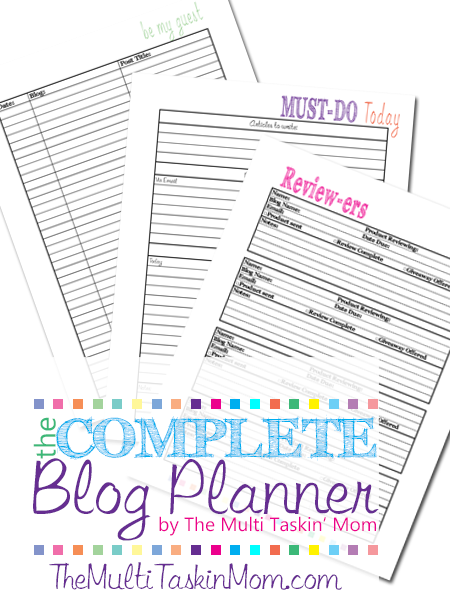 What makes this planner different from all of the other planners is that it is comprehensive. I have left no stones un-turned. Each section is full of tips and tricks to make the most of each planning form. 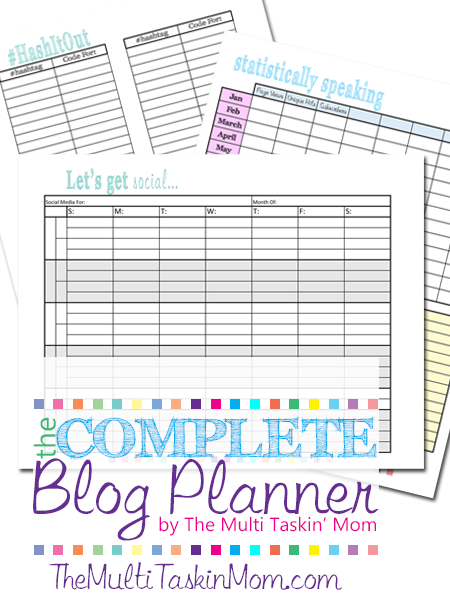 The planner includes over 30 planning forms to help maximize your blogging time and hopefully allow you more time to focus on other areas of your life. And many never before seen forms too! Those are just a small bit of what is in this planner!